"Bet on Your Baby" Bets on Team Imagination and 4Wall LA | Press Center | 4Wall Entertainment, Inc.
Los Angeles, CA- Season two of ABC's "Bet on Your Baby" premiered this May with lighting design provided by Team Imagination Inc., led by Lighting Designer Michael R. Veerkamp and Lighting Directors Adam Portelli and Mark Pranzini. 4Wall Los Angeles provided the design company with a full lighting package. Hosted by Melissa Peterman, "Bet on Your Baby" is a game show challenging parents to guess their child's next move in a variety of scenarios, with the goal of winning money towards their little one's college fund. 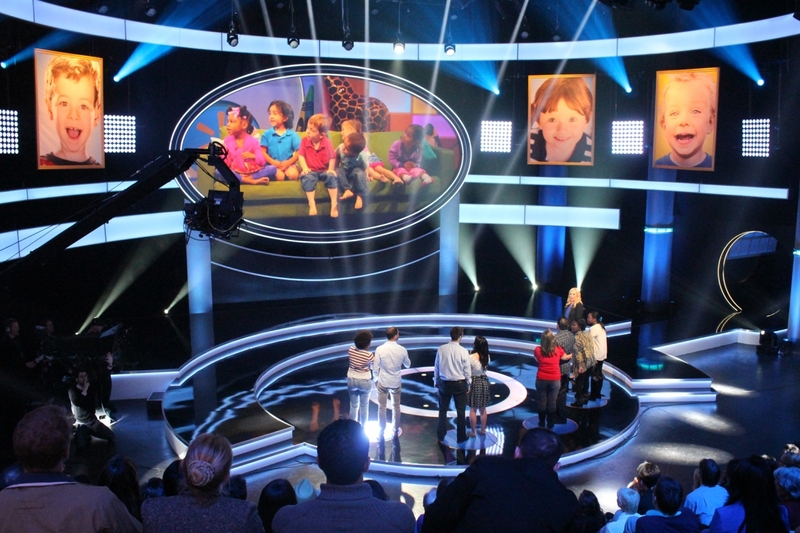 Team Imagination took over design for Season Two without previously working on the show, allowing the design firm to give an entirely fresh palette to the set. "One thing we wanted to focus on with a show like this was creating an environment that was both kid-friendly and safe," said Veerkamp. "That led to us using a large amount of LED fixtures to keep everyone cool and comfortable." Fixtures chosen included Martin MAC Auras as well as Color Kinetics ColorBlast and iWhite LEDs, in addition to Chauvet Colorado 1 Tri Tours and Nexus 4x4 Panels. "By utilizing various LED fixtures from different manufacturers, we nearly lit the entire show with LEDs, with the exception of just a few profile fixtures," said Portelli. The profile units include Martin MAC Viper Profiles and MAC 700 Profiles. All the gear from 4Wall LA performed to Team Imagination's high standards. "With the team at 4Wall Los Angeles taking care of us, we received the quality equipment that we demand on all our shows," said Veerkamp.